START Art Fair today announced the list of participating galleries and special projects for the fourth edition of the fair, taking place from 14 – 17 September 2017 (Preview 13 September) at Saatchi Gallery. Launching London’s Autumn arts season, START 2017 will showcase the best emerging artists from new, innovative art scenes and developing markets across the globe. The START exhibitors were selected by a curatorial committee comprising of Serenella Ciclitira (Co-founder of START and CEO of Parallel Contemporary Art), Nigel Hurst (Cofounder of START and CEO, Saatchi Gallery) and curatorial partners, Mehta Bell Projects. 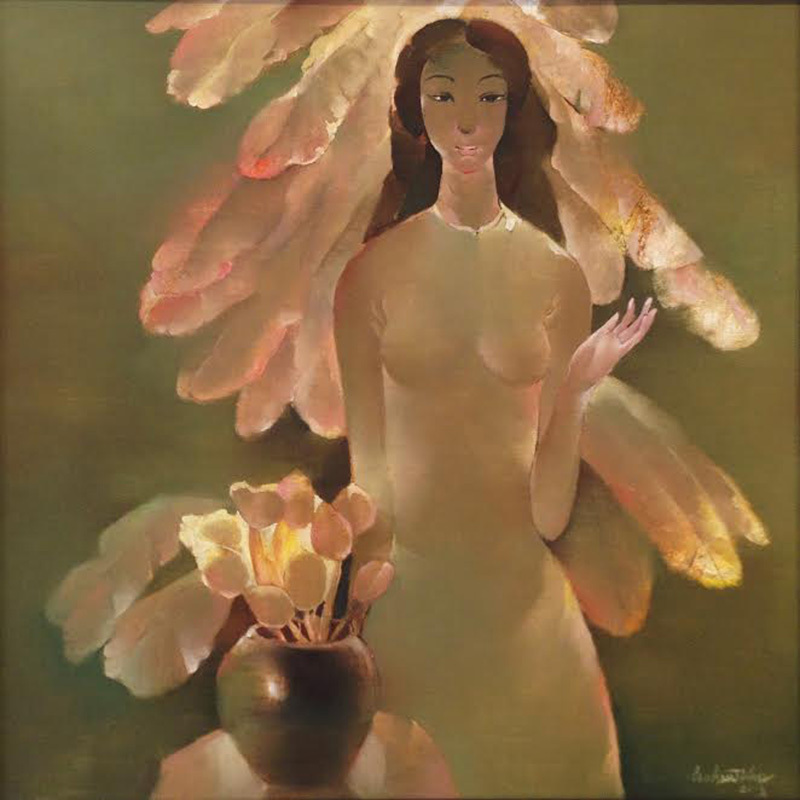 The fourth edition includes galleries and artists from 25 different countries: Argentina, Australia, Belarus, Brazil, Denmark, Dubai, Hong Kong, Ireland, Latvia, Lithuania, Nigeria, Russia, Singapore, South Africa, South Korea, Switzerland, Taiwan, The Netherlands, Turkey, United Kingdom, Ukraine, United States of America and Vietnam. A diverse range of themes will be explored by the participating galleries, including the effects of globalisation, race relations, spiritualism, popular culture and technology. Galleries include Asian art specialist Art Lexing (Miami) exhibiting rising Chinese artist Ye Hongxing whose intricate kaleidoscopic works composed of crystal stickers combine religious iconography with imagery of modern day warfare and pop icons. Red Door Gallery (Lagos) will present a selection of artists challenging the stereotypical definitions of ‘African Art’, showcasing Cyril Oma’s series of paintings which celebrate individuals from the African continent. Orekhov Gallery (Moscow, Russia) will exhibit a stainless steel sculpture by Gregory Orekhov, inspired by the popular Soviet toy Nevalyashka, encouraging viewers to reflect on and question their childhood dreams. 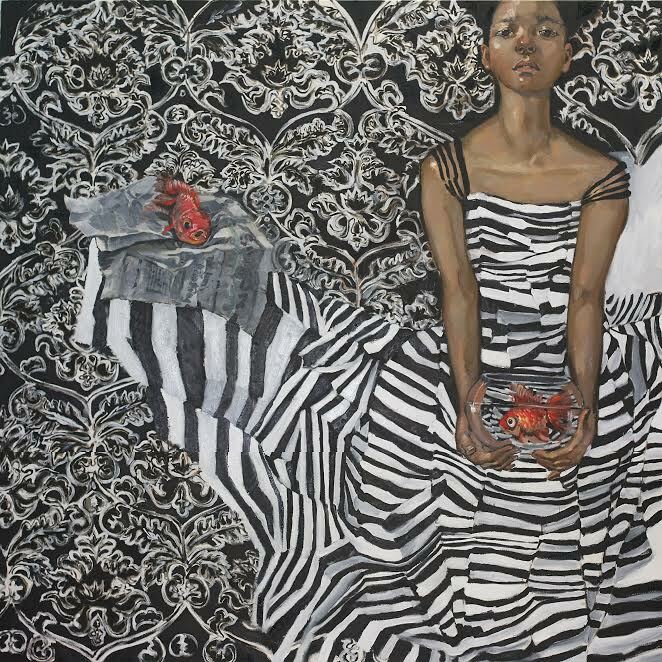 NG Art Gallery (Australia) will showcase works by Fiona White, whose narrative painting style addresses a range of topical discourses that react to global events and race relations. W.Gilbert and INKA Collaborative (Switzerland) will see Nobel Prize winner Wally Gilbert and Dr. Inna Timokhina collaborate on a dual presentation, exploring the fusion of science and abstract art through their large-scale artworks inspired by molecular biology. START Solo includes individual presentations from Marcus Dove who will explore visual metaphors for freedom through his creatively destructive works made by a handmade, pyrotechnical missile launcher and smoke grenades. Multi-media Indian artist Owais Husain will present smaller works on paper exploring themes of identity, displacement and history, whilst Brazilian artist Paula Klien will be presenting her distinctive works composed using monochromatic Chinese ink, which reflect her response to an increasingly transient world. In line with START’s mission to offer an international platform for discovering the best in emerging artistic talent, and reflect the diversity of today’s art world, the fair is accompanied by a number of specially curated START Projects focusing on dynamic Asian art scenes. This year, the fair will explore contemporary art practices in Vietnam and Korea through the Global Eye Programme established by Parallel Contemporary Art founders David and Serenella Ciclitira with the aim of nurturing Asian artistic talent. The Vietnam Eye exhibition, presented to critical acclaim in Hanoi last year, will be brought to the UK to showcase the artistic developments from this region, addressing both local and global concerns. Exhibitors include rising stars, the LE Brothers, who will present video works questioning the social and political challenges of post-war Vietnam. They will be joined by Nguyen Van Du, whose paintings combining blood and watercolour evoke the violent nature of humanity, and Nguyen Tri Manh who will present a special live-painting performance. The Korean Eye exhibition returns for START 2017 to coincide with the UK / Korea Year of Culture. Korean Eye was the UK’s largest survey of new Korean art in 2012 and this presentation will reflect how dramatically the Korean art scene has developed over the last few years. Meekyoung Shin will translate historical Chinese images onto her sculptures made from soap, rather than the expected porcelain or marble, highlighting the transience of meaning in cultural iconography. Acclaimed photographer Chan Hyo Bae will also examine cultural preconceptions, presenting his iconic portraits depicting aristocratic costumes from 16th and 17th century England, presenting a prejudiced notion of the West to match the West’s own distorted Orientalism. A highlight START Project will see the renowned contemporary Chinese artist Liu Bolin’s first major UK performance, presented in collaboration with Mehta Bell Projects. Reminiscent of his iconic ‘Hiding in the City’ series, the artist will be painted in situ against a specially commissioned installation, gradually blended into the background and becoming entirely invisible. The installation, created in collaboration with Brick Live, will be made entirely from Lego bricks based on a sunflower design created by the artist, a motif which Bolin has previously employed in his work. One of the most ubiquitous brand of toys across the world, Lego resonates with Bolin’s long-standing examination of popular and consumer culture and their effects on the individual. Bolin’s live performance offers a rare insight into his working practice and the strength and resilience his ‘Hiding in the City’ works require. Instagram and @STARTartfair on Twitter. Launched in 2014 by Parallel Contemporary Art, START Art Fair is a high profile platform for emerging artists and new art scenes from around the world. It takes place across all three floors of London’s prestigious Saatchi Gallery enabling notable collectors, curators, art connoisseurs, established art institutions and the public to discover new artistic talent in an intimate museum setting. START was founded by David and Serenella Ciclitira together with Saatchi Gallery, united by their dedication to identifying and supporting emerging talent from around the world. The fair builds on this legacy for supporting and showcasing global emerging work, and recognises the need in London for a dedicated platform that brings fresh talent to the fore in a gallery environment. Parallel Contemporary Art is an organisation dedicated to supporting emerging artists across the world. It was founded by David and Serenella Ciclitira who have been collectors and patrons of contemporary art for over two decades. 23 years ago, as part of their commitment to supporting emerging artists, they founded two annual awards at the Royal College of Art, London; the Parallel Prize for painting and the Serenella Ciclitira Scholarship for sculpture, both of which continue to provide valuable support and stipends for graduating fine artists. Through their love of travel and discovering new artistic talent, they realised young artists in many parts of Asia were under supported. To help develop the careers of these emerging Asian artists, they launched the Eye Programme, an initiative that nurtures under-exposed artistic talent. The Saatchi Gallery was founded in 1985 with the aim of bringing contemporary art to as wide an audience as possible and make it accessible by providing an innovative platform for emerging artists to show their work. Over the last five years the Saatchi Gallery has hosted ten out of the top 15 most visited exhibitions in London, according to The Art Newspaper’s survey of international museum attendance, and is also ranked amongst the world’s top five most liked museums on Facebook, Instagram, Twitter and Google+. Entry to all the Saatchi Gallery’s exhibitions is free. creative and holistic approach to curation, collection building, art sales, consultancy, artist and project management. Consistently discovering and nurturing exciting artistic talent, Mehta Bell Projects attract forward-thinking clients and creatives to further invigorate contemporary art platforms. Previous projects include a collaboration with Matthew Williamson and artists Tsai & Yoshikawa; and Future Island, a pioneering showcase of emerging Taiwanese talent and one of START 2016’s highlights. Founded by Clive Nørgaard Morton, BRICKLIVE has been developed as the most interactive LEGO based fan event, in the world. At events all around the world, BRICKLIVE invites visitors to come and learn, play, build and create with LEGO. BRICKLIVE launched in 2014 at ExCeL, London with 23,000 sq m of attractions and over 40,000 visitors. In 2017, BRICKLIVE will be stages in 20 cities including London, Basel, Tokyo, Seoul, Glasgow, Belfast, Sendai and Fukuoka. In 2018, BRICKLIVE is looking to increase its network to over 30 cities worldwide.